Price drop! 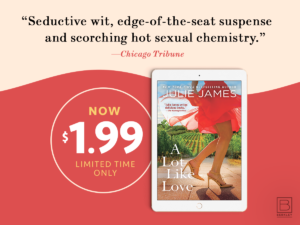 For a limited time, A LOT LIKE LOVE is only $1.99 in ebook! 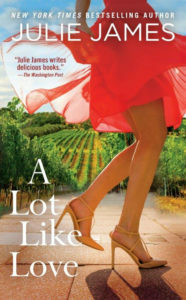 Wine shop owner + undercover FBI agent = perfect book to curl up with a glass of 🍷. First, I wanted to thank you all for your patience. I know it’s been awhile since I posted anything on the book front, and there have been a lot of questions about when my next book will be coming out. The short answer is that I’ve just started writing a new book and while I don’t have a release date yet, I will certainly post that information as soon as it’s available. The longer answer is that this past year has been interesting–and challenging–for me, both as a writer and a working mom. On the writing front, in the course of the past twelve months I’ve started and scrapped two books that simply weren’t working for me. 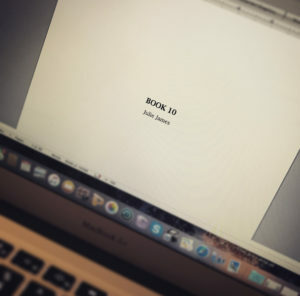 This will be my tenth book, which is a milestone, and I think I got too focused on thinking that I wanted to do something bigger, or different, this time around. As a reader of both women’s fiction and thrillers, I started dabbling with ideas in those genres, but both times the book began to feel just . . . not “me.” And as much as I hate scrapping months of work–particularly since I’m a slow writer–at the end of the day, if I’m not feeling the story it’s time to walk away. But enough about me… let’s talk about this book I’m writing! Third time’s the charm, right? While I’m not saying much about it yet, I can tell you that it’s a romantic comedy/contemporary romance. It’s a fun book, and I’m excited to dive in. And since I know you’ll ask: nope, it’s not an FBI/U.S. Attorney book. But I’m not straying too far from my roots–both the heroine and hero are lawyers. I promise to share more as the book progresses, so stay tuned! And thanks again for your patience and inquiries about my next book! It warms my heart to hear how excited you guys are for what comes next. Price drop! 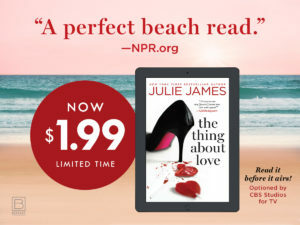 For a limited time, THE THING ABOUT LOVE is only $1.99 in ebook! Get it while it’s hot! Here’s some news I’m excited to share! 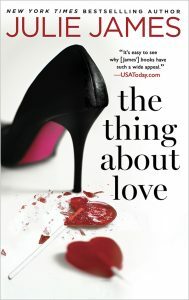 My book, THE THING ABOUT LOVE, has been optioned by CBS Studios and is in development as a TV series with Tribeca Productions attached to produce.